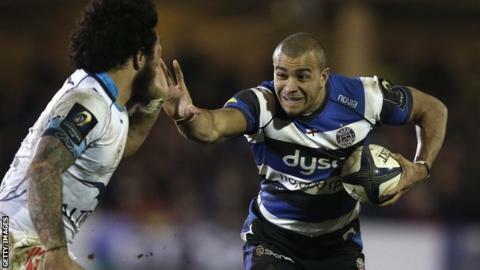 England centre Jonathan Joseph has signed a new contract at Bath. The 23-year-old, who arrived from London Irish in 2013, has scored seven tries in 15 games so far this season. He has earned six international caps and was called up as injury cover to Stuart Lancaster's England squad for the autumn internationals last year. "JJ is an incredibly talented young player, who is on the brink of breaking into the England squad, and deservedly so," said Bath head coach Mike Ford. "He has been on fantastic form for us, providing a real threat in our back line and his defence is international class too. "He's matured as a player over the last year or so, and we're delighted he's staying with us." The length of Joseph's new deal has not been disclosed by the club. Second-placed Bath closed the gap between themselves and Premiership leaders Northampton to one point with victory over Wasps on Saturday. Read more on Who are England's number eight options after Ben Morgan injury?